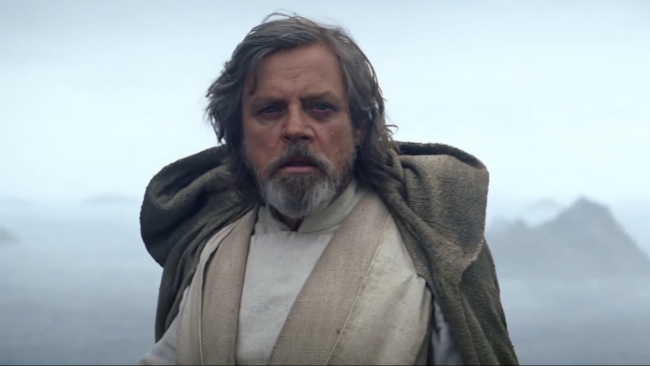 One by one, the principal cast of Star Wars: Episode VIII have been wrapping up their own contribution to Disney’s galactic sequel in recent weeks and now, director Rian Johnson has confirmed the 2017 sequel is ready to move into post. Word comes by way of Making Star Wars (via ComingSoon), where Johnson posted a video capturing the moment he slammed that iconic clapperboard for the final time. Remarkably, there have been precious few set photos of Star Wars: Episode VIII that have found their way online. Much of that, of course, comes down to the thick veil of secrecy that Disney tends to enforce – one that even resulted in Daisy Ridley hiding the hairstyle she sported during the latter stages of production. Ridley and Hamill are part of a cast that comprises Adam Driver, Daisy Ridley, John Boyega, Lupita Nyong’o, Oscar Isaac and Domhnall Gleeson. Benicio Del Toro and Laura Dern, meanwhile, headline the newcomers. A return trip to Skellig Michael is in the cards when Star Wars: Episode VIII launches into theaters on December 15, 2017. Next up for Disney’s retooled universe is Rogue One this December.